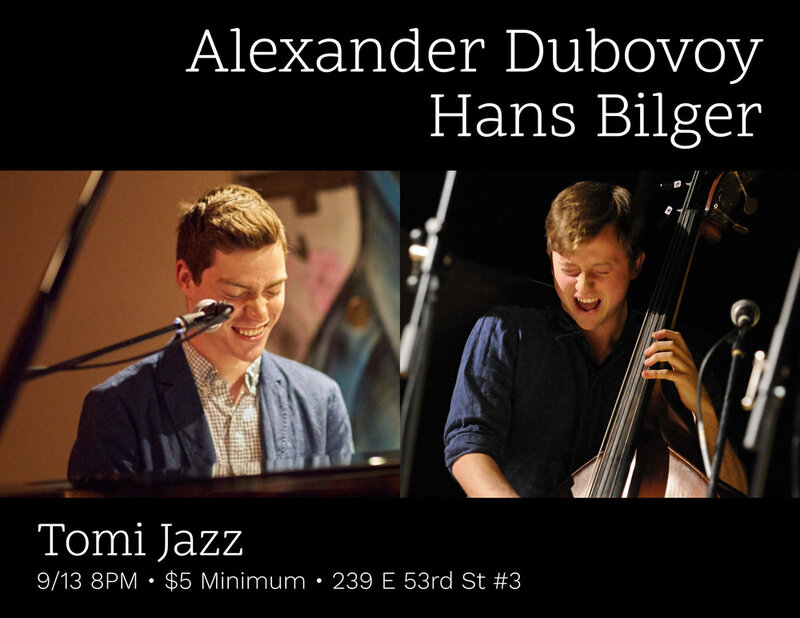 Join Hans and Alexander for what might be our last performance in NYC for a little while. We'll be playing a bunch of duo repertoire developed over 4 years of playing together and 2 months of living together in Brooklyn. Also, there's no cover (just a minimum). So, come, bring your friends, and hang with us.